St. Augustine, Florida was definitely producing some interesting buildings, and all of them have something interesting in common. This time I stumbled into the Casa Monica Hotel. I guess when we were talking about the 1888 Ponce de Leon Hotel, I did not pay proper attention to the material it was made out of. Meanwhile, here is what was used. The hotel was the first of its kind constructed entirely of poured concrete, using the local coquina stone as aggregate. Construction began in 1885 (by former shipbuilders James McGuire and Joseph McDonald) and ended in 1887. 540 rooms, and only 1 bathroom for the entire building at construction. Flagler was impressed with the poured concrete construction method used to build a winter home of businessman Franklin W. Smith. In 1885, Flagler made Smith an offer. If Smith could raise $50,000, Flagler would invest $150,000 and they would build a hotel together. Smith couldn't come up with the funds, so Flagler began construction of the 540-room Ponce de León Hotel by himself, spending several times his original estimate. Smith helped train the masons on the mixing and pouring techniques. Two years later, Smith would build the Casa Monica Hotel opposite the Ponce de Leon, on land sold to him by Flagler. HistoricHotels.ORG tells us that in May 1887, Henry Flagler - railroad pioneer, hotel magnate and co-founder of Standard Oil - sold a parcel of land in St. Augustine, Florida to Bostonian amateur architect, Franklin W. Smith. On New Year’s Day 1888, Smith opened the historic Casa Monica Hotel. Four months later, Henry Flagler purchased Casa Monica and "all fixtures, furnishings, silver, hardware, linen, bedding, parlor, hall, dining room, and kitchen furnishings and all other chattels," for $325,000 and changed the name of the hotel to Cordova. The hotel flourished under Flagler’s management. With the above in mind, let us see what information we can extract out of Wikipedia, as it pertains to the Casa Monica Hotel: The Casa Monica Hotel is a historic hotel located in St. Augustine, Florida, in the United States. The Casa Monica Hotel is one of the oldest hotels in the United States and is a member of the Historic Hotels of America National Trust. The hotel was opened in 1888 by Franklin W. Smith, a notable Victorian architecture enthusiast and social reformer who earned a place in Florida history for interesting Henry Flagler in investing in the state. The construction material was poured concrete, of which Franklin Smith was a leading experimenter. The original exterior finish was natural, leaving horizontal pour marks visible, and matching other grand Flagler era structures in downtown St. Augustine. The architectural style was Moorish Revival and Spanish Baroque Revival, in which Smith was also a pioneer promoter. His own winter home, Villa Zorayda, just a block to the west, was the first Moorish Revival building in the Ancient City. The hotel's Sun Parlor was the most notable interior room, but it was gutted after the hotel closed. Its details were unfortunately later demolished and have yet to be restored. Related: Did Cherokee Indians Build the Greco-Roman Architecture in the U.S.? Soon after completing the hotel, Smith ran into financial difficulties and sold the hotel, including all fixtures, furnishings, linen, and all other chattel, for $325,000-USD to oil and railroad tycoon Henry Flagler. Upon purchasing the hotel, Henry Flagler renamed the Casa Monica the Cordova Hotel. Flagler, a founder, with John D. Rockefeller, of the Standard Oil Company, already owned two hotels in St. Augustine, the Ponce de Leon Hotel (now Flagler College) and the Hotel Alcazar (now City Hall and the Lightner Museum). From 1888 to 1902, the hotel featured parties, balls, fairs and charity events. Meanwhile, the 1890 population of St. Augustine was 4,472 people. Did Cherokee Indians Build the Greco-Roman Architecture in the U.S.? KD: Here is my 2 cents on what we could have here. They really needed hotels in St. Augustine in 1888 to build at least three, didn't they? The Moorish "Revival" style buildings were being indoctrinated in St. Augustine, Florida using Mr. Smith and Mr. Flagler. The time frame appears to be 1885-1888. I am not gonna go as far as saying that the buildings were not built around 1888, but I certainly have my doubts. Is the building technology being hidden from us, or the time when the buildings were built? Anyways, will be happy to read your opinions, if any. That looks incredible! Seems fishy these buildings were all built around that time. The amount of skilled tradesmen available seems unrealistic, again! There a few books written by Franklin Webster Smith inauthor:"Franklin Webster Smith"
Seems he had grand ambition, the ear of 'government' and more than a few dollars kicking about. Given the current political climate, it is hard to imagine an era in which elected officials and even private citizens from across the country were clamoring for the federal government to spend money on the beautification of Washington, but such was the case around the turn of the twentieth century. In 1900, Franklin Webster Smith, a Boston hardware merchant, developed at his own expense an array of astonishing proposals for the “aggrandizement of Washington, D.C.,” including the “National Galleries of History and Art,” comprising a veritable three-dimensional encyclopedia of architectural styles and spanning from the edge of the White House grounds at 17th Street all the way to the Potomac River. He also proposed relocating the President’s residence to Meridian Hill, where it would occupy a palatial mansion bridging 16th Street. A similar idea had been proposed in 1898 by Mary Foote Henderson, wife of a former Senator from Missouri, who commissioned architect Paul Pelz to design an equally grandiose executive mansion on the site of what is now Meridian Hill Park. Seems a massive leap from his house building days. This 1891 book here is ridiculous with what’s in it, proposed by a “hardware merchant and architectural enthusiast” Smith. Just shows one extra time that we do not know jack about what was really happening back then... barely 100 years ago. Smith’s first taste of fame came in the 1860s and was less than glorious. A military contractor charged with crimes of corruption, Smith declared himself “the Dreyfus of the civil war.” After his sentence was nullified by Abraham Lincoln, he re-invented himself as an impresario of miniature world’s fairs and planner of Appalachian utopias. So Uncle Abe, who never was, nullified his sentence. The office of President overriding the rule (more truthfully role) of law seems kinda odd. Perhaps that print only book from above has more clues as to why such an office would involve itself in such a corruption case. He rebuilt the lost worlds of the Moors in Florida and the Romans in New York. In Washington, he recreated Egypt, Nineveh, Greece, and Persia two blocks from the White House. He envisioned the capital reborn as a vast panoramic museum of beauty and art, and his plans filled newspapers and attracted senators, millionaires, and at least one president. Abruptly, he plunged into such a deep obscurity that his obituary inexplicably appeared in print three years before he actually died. Unlike the other prisoners, Smith was a Northerner and an abolitionist. He had been present at the founding of the Massachusetts Republican Party, and just three years earlier, he and his wife, Laura, had danced at Lincoln’s inauguration. Now he sat fuming on this tiny rock, miles from land. Across the harbor, a group of Marines went to the Smiths’ place of business, broke their locks, stormed their warehouse, and stole their papers. Smith and his brother, Benjamin, sat at the commandant’s table, trapped like two caged lions. Thus revealing 'why' Abe got involved, hardly a 'no mark' this Smith was he. Did the southerners not realise who they had captured? Franklin Smith and his brother were prosperous and esteemed hardware merchants. At age 18, Smith had exhibited “One Mammoth Sample Knife and Fork” and a “Sample Card of Auger Bits” at the 1844 Exhibition for the Encouragement of Manufactures and the Mechanic Arts in Quincy and Faneuil Halls. Afterward, he partnered with his brother in their business at 32 Dock Square. But Benjamin and Franklin — as their names might suggest — were also men of society. Their father, also Benjamin, had been the city’s port warden and leader of its Freemasons. He had been involved in the construction of the Bunker Hill Monument, whose dedication commemorated the battle that occurred 89 years before to the day. Their mother, Mary, was the daughter of a famed Provincetown sea captain. Freemasonry puts an appearance in. So he is a friend of Abe on the side of the north who founded a state level Republican party and a most likely a mason too boot. But in June 1864, they were prisoners, albeit prisoners with friends. After their bail was set at $500,000 (nearly $10,000,000 in 2018 dollars), the people of Boston raised double that amount within a day. The Navy took $20,000 and let the two brothers return home. The Navy accused the brothers of an irregularity of a few hundred dollars, but it was well known that their true crime had been to provoke the Department of the Navy at wartime. Just before eight in the evening on April 29, 1873, Franklin Webster Smith, Chairman of the Executive Committee of the Bazaar of the Nations, welcomed his guests to the Music Hall on Winter Street, Boston. Inside the hall stood a city street lined with a dozen full-scale replicas of buildings from around the world: Jerusalem’s Damascus Gate, a three-story Russian house made of buff stone and malachite, a four-story French house with a red-and-blue Mansard roof, a palace by the Grand Canal in Venice, an Old English house, a German house, a Turkish house colored red and green with a 60-foot minaret, a Swiss chalet, and a Chinese pavilion painted yellow and vermilion. A series of addresses followed in Russian, Swedish, French, Gaelic, German, Arabic, and Hawaiian. A Boston tea merchant delivered an address in Chinese. Four Arab runners led a procession around the Music Hall. A Bavarian band followed, dressed in red and gold. Two Swiss guards, two gold-helmeted bodyguards of the French emperor, and steel-helmeted flag-bearers in chain mail followed behind. Two men from China, a Syrian missionary, an American dressed as a Bedouin, German students, and Turkish soldiers picked up the rear. A muezzin cried out from the top of the minaret. In 1858, he proposed and oversaw a profitable Christmas fair with two full-scale rooms from Benjamin Franklin’s birthplace, men and women in early eighteenth-century costumes singing period songs, and a 50-foot-tall, nine-tiered Chinese pagoda. Liked to do things on a grand scale didn't he. So many buildings were built during the wrong era according to official history. I have always been impressed by this palace in Spain, you can say that it was built by the same kind of men who created the Alhambra, yet it was built by the end of the XIX century... according to them of course, Link. Agreed. At the same time this thread is about Flagler, Smith and St. Augustine in Florida, USA. Let's do separate countries, and buildings in the threads of their own. This way we will not have everything mixed up in one place. I noticed the flag on the left side of hotel was a USA flag used 1891-1896 it had 44 stars. Will that help with the time frame. St. Augustine enjoys a prestige unrivaled among the resorts of the country; not alone as the oldest town in the United States, but also as the oldest winter resort. For many years before winter resorts had been thought of, scores of people came here for the benefit of the salubrious climate, many remaining,, and they and their children have become thoroughly identified with the city. As the custom of leaving home for a period of immunity from the severity of Northern winters became more general St. Augustine grew in popularity, additional hotels were required to accommodate the visitors who came down the St. John’s to Picolata and across the country (the scene of contests between the red men and the soldiers) to the city; late the Tocoi road, primitive enough, was constructed, and visitors considered themselves exceedingly fortunate, crude as were its accommodations. A few years later the road between Jacksonville and St. Augustine was constructed and the progress of the Ancient City was assured. Among the first hotels built in answer to the growing demand was the St. Augustine since destroyed by fire; the Florida House and the Magnolia. In 1883 General Crufts, who was then building the Magnolia Springs hotel on the St. Johns, visited St. Augustine accompanied by Mr. O. D. Seavey, and on his representation purchased the site of the San Marco hotel and made a contract with the builders of the Magnolia Springs to build the present perfectly arranged hotel. Two years later it was opened for the reception of guests, and from the first was a success and indeed struck the key note of St. Augustine’s fame as a winter resort. Mr. Henry M. Flagler, with Mrs. Flagler, was a guest of the San Marco during its first season, and believing that the American people were as a recent writer expressed it, “learning to enjoy themselves,” and that a hotel, combining the luxuries and elegancies of the palace homes of persons of wealth, with proper means of amusement the delightful climate and the prestige St. Augustine would attract this class of visitors here, making it a winter resort, projected the Ponce de Leon, whose grandeur of conception, beauty of architectural design, perfection of detail, perfect arrangements for heating, lighting, its decorations, arrangement of public and private rooms, superior sanitary arrangements, together with its superior management securing an unexcelled cuisine, perfect service and the amusement of the guests, making it a charming winter home, the delight of the wealthy and cultured classes of the country. In addition to the magnificent hotel, with its superb appointments, magnificent frescoes, carvings and tessalated floors; its dining room and parlors of almost regal magnificence; its handsome reading, writing and smoking rooms; its loggias, court and fountains another building, almost rivaling it in architectural beauty, was erected opposite as an annex to the Ponce de Leon. Around its beautiful court pretty shops would supply the guests with gowns, hats, jewels and bric-a-brac. The rooms above, spacious and handsomely furnished, are to be occupied by guests of the Ponce de Leon. Beyond were located the magnificent marble baths, both Turkish and Russian; and in connection with them the immense bathing pool and casino, the former at the time of its construction the largest in the country, and the casino, an immense room, unique and beautiful in design and finish. In the grounds surrounding the Alcazar were located the tennis courts, with bowling alleys located near by. Two years was occupied in constructing this magnificent hotel, the Ponce de Leon; another in completing the Alcazar and baths. In January, 1888, the Ponce de Leon opened its doors for the reception of guests, without ceremony dinner was served, meanwhile the fine band of twenty-four pieces, secured for the entertainment of the guests during the season, was stationed in the east wing rendering an excellent program. A few invited guests, friends of the owner, Mr. Flagler, the architects and painters, their friends, a number of the citizens and the guests already assembled, gathered about enjoying the music, marveling over the wondrous beauty of the room, the elegance of silver, china and napery spread before them. The season was a phenomenal one; until the 1st of May there was a constant stream of visitors. The great hotel drew guests to the other hotels as well, and the long line of cars that arrived many times daily brought wondering, delighted guests to the Ancient City. A season of prosperity marked this era, leaving an impress upon the city that time will not efface. In addition to the Ponce de Leon and Alcazar miles of concrete pavement were laid, new streets opened, a Methodist church built, cottages and a fine, commodious depot sprung into existence as if by magic, changing the entire aspect of the city. Marsh land was transformed into beautiful gardens and fields, and throngs of visitors have been coming and going each season since. The Hotel Ponce de Leon has accommodations for five hundred and fifty guests. Many of the rooms are in suite, with corridors shutting them off from other rooms; at least fifty rooms have private baths, and every appointment of both parlors, bed-rooms and dressing-rooms, handsome and as perfect as modern appliances can secure. Almost all the parlors attached to bed-rooms have pretty artistic fireplaces, others are heated by steam, some by both, although it is only occasionally that either is necessary. The plumbing and all sanitary arrangements are of the highest order, the water coming from an artesian well fourteen hundred feet deep. The house and grounds are lit by electricity, the plant being in the basement of the kitchen, during the summer of 1893 entirely new wires were placed all through the house incased in brass tubing and running to a series of switch boards located in convenient places that any repairs may be made without the workmen entering the rooms. These boards are of marble designed by the house electrician making the entire system perfectly fire proof. Some idea of the cost of maintaining such a hotel may be gathered from the amount of linen and napery required; tablecloths of the heaviest and finest damask, manufactured expressly for this hotel, with monogram, are purchased by the hundred, similar napkins by the thousand, and replenished every season. Blankets of the finest texture are purchased by hundreds of pairs; linen pillow slips are used entirely, the material purchased by the fifty pieces; both linen and cotton sheeting is used, and similar purchases made. Towels, woven expressly for the Ponce de Leon, come by the hundreds of pieces. The purchase of crash for use in dining, serving-room and kitchen would support some families for some time, as in one season twenty pieces of one kind, thirty of another, twelve of two or three kinds are made up for a beginning. Eider down comforts are purchased by the score; spreads by the hundreds, all of superior make. Then the breakage is enormous; yearly hundreds of dollars are spent in replacing china, glass and silver that has a habit of disappearing most mysteriously. The Ponce de Leon, in fact, maintains a second hotel within itself the entertaining of the nurses, maids and help employed in the hotel. A handsome dining-room in the portion of the building in rear of the dining-room is for the use of the officers, a second for the second officers, who are served from the main kitchen; while another kitchen, with a fine range and all modern conveniences, has been provided for preparing food for the help. Above stairs is a dining-room for the band, and down stairs one for colored officers, one for colored men, another for colored women, and two for white help. A number of persons are employed in preparing meals for them, and in serving them, as everything is a systematically arranged as for the guests in the larger house. Help is also required to care for these rooms—about one hundred and fifty. One hundred and fifty rooms are in the building, called the barracks, for the accommodation of male help, and about sixty more over the immense laundry. This season Mr. Clarence B. Knott, formerly the cashier of the Ponce de Leon and last season manager of the Cordova, assumes the management of the great hotel, opening it on January 16th, 1895. A number of the staff formerly employed will remain with Mr. Knott including Mr. Romer Gillis who will again preside over the register assisted by Mr. Streeter who was room clerk the past summer at Passaconaway Inn, Mr. W. S. Crichlow, bookkeeper, Mr. William Greaves will again fill the important position of cashier and assisted by Mr. George Gibbs, Mr. Clarence M. Murphy formerly passenger agent of the Richmond and Danville at Asheville will have charge of front mail and keys. Miss Anne McKay, who has so satisfactorily filled the position of housekeeper to both manager and guest heretofore, will again have charge of that department. Mr. Robert Murray, formerly steward of the Cordova, will fill that important position at the Ponce de Leon this year with Frank Thompson at the head of the dining-room force, and Wm. Lowry head bellman. Hotel Alcazar. Although the first intention in constructing this building was as an annex of the Ponce de Leon; before its completion, this idea seemed impracticable, and a restaurant was built in addition to it, and the house first opened on the European plan, a year later on both the European and American plans. But this was not entirely satisfactory, and it was then managed on the American plan alone, growing constantly in popularity, and each season additions were made to it, in order to meet the demands made upon it. Three years ago forty rooms were added, with a larger parlor and ladies’ waiting-room on the first floor, occupying the space of four shops, and an annex to the dining-room. The season following was one of unparalleled success. Last year, owing to the depression in financial circles, the house was opened for rooms only. Arrangements have been completed to open the Alcazar for this season in January on the American plan, with rates fixed at $3.50 per day, under the management of Mr. Knott. 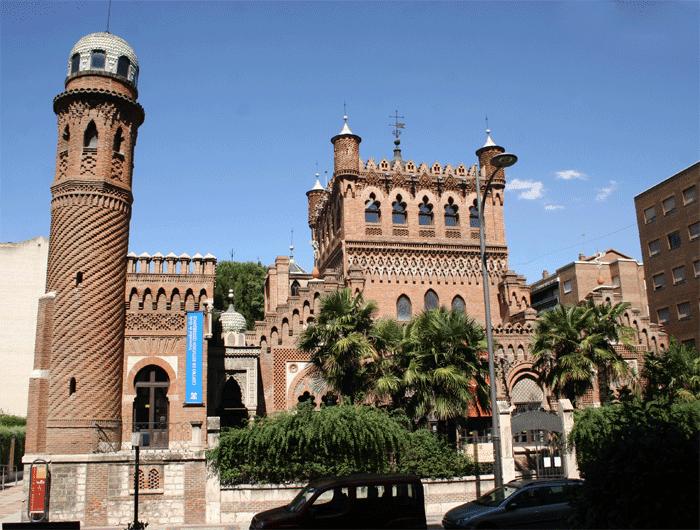 As the Alcazar is directly connected with the Casino, and the Imperial Gypsy Band will give daily and evening concerts there, commencing in January; a regular orchestra will not be employed. The Alcazar is built around four sides of a square, or court, the lower, or office floor, entirely surrounded by a beautiful arched loggia. The rooms are arranged to either look into the court or streets surrounding the house. They are large and beautifully furnished, the parlors attractive and with handsome appointments. ‘A superior cuisine and service will be maintained, with an excellent staff and corps of help. Hotel Cordova became the property of Mr. Henry M. Flagler in 1889 by purchase. Immediately many changes in its interior arrangements were made and the hotel under the management of Mr. E. N. Wilson. Last year Mr. Flagler appointed Mr. Clarence B. Knott, who had been cashier of the Ponce de Leon, manager, making the rate three and four dollars per day. This year the house was opened on the 5th of November again under the management of Mr. Knott and has been remarkably well patronized. On Sunday last one hundred guests were dined. The Cordova occupies the southeast corner of the Alameda, is a handsome house of pure Cordovese architecture, its main entrance on Cordova street facing the beautiful grounds of the Alcazar. The office and writing-room are extended into a sun-parlor where tropical plants add to the attractiveness of the entire apartment; here the daily and evening concerts are given and enjoyed both by guests and cottagers who are welcomed most cordially by “mine host,” making it one of the favorite gathering places in the city. Weekly dances are given every Wednesday that are greatly enjoyed by hundreds of visitors to the city. The large handsomely furnished parlor adjoins the sun-parlor and opens upon a broad veranda facing King street with the beautiful Government park opposite; a ladies’ entrance and hall separates this from the library or reading-room that occupies the the corner of the building, and commands a magnificent view of the Ponce de Leon. All are furnished most harmoniously. A private entrance south of the office leads directly to the dining room, one of the finest in the State’ high studded ceiling, with finely draped windows looking into a pretty court. The table furnishings are particularly pleasing. Fine damask, sparkling silver on it, glass and dainty china add to the excellent menu served. Did Henry Flagler have competition in St.Augustine? The short answer to this question is no.There was no competition to Henry Flagler. The closest thing to competition to Flagler was the San Marco Hotel. He took the builders, the manager, sometimes the orchestras, and the train station. Later the hotel was burned by arsonists. After that there was no quality competition. Even the San Marco suffered from its age. It was built in the time of gas as opposed to the time of electricity. (See what 2 years will do.) Even Flagler was on the cusp of change as private bathrooms were added year by year to the Ponce de Leon Hotel. Most of the hotels opened only for the winter season, which could extend from November through May. Late openings or early closings meant that guests would simply move to other hotels. The hotel proprietors usually managed a hotel in a northern state in the summer; like their wealthy guests, they wintered in the south and spent summers in the north. The hotel maids, waiters, etc. did the same thing in many instances. Henry Flagler broke the pattern by not offering a northern hotel. However, his managers were allowed to advertise their summer hotels (including adding the name of the other hotel on the Flagler hotel stationery). If the manager was good at his job, guests would "follow" the manager from hotel to hotel. NOTE: What's the difference between a boarding house and a hotel? George L. Atkins and Sons were the proprietors of the Florida House Hotel in the 1880s. Their summer hotel was the Ocean Hotel in Asbury Park, New Jersey, open from June 15th to September 15th. The Florida House was originally built in 1833. It opened in 1834. Mr. J. H. Rehmer of Ansonia,Connecticut erected the main building in 1875. In 1883, George Atkins petitioned the town council for permission to build a pedestrian bridge over Treasury Street, connecting the Florida House with the Planters Hotel, and enlarging the hotel. In the 1884 Chapins Hand Book of St. Augustine by Elias Nason, the Florida House was advertised as a winter hotel open from December to April. Chapins reported that improvements had been made to the hotel, and that its 131 rooms were large, elegantly furnished, well ventilated, and lighted throughout with gas. A steam passenger elevator carries guests to the New improvements were made for the year. The rooms were advertised as large, elegantly furnished, well ventilated, and lighted throughout with gas. A steam passenger elevator carries fourth floor. The introduction of steam into the building insures a warm and comfortable house. Electric bells in each room connect with the office. Terms are $4.00 a day. A liberal reduction given to parties desiring to engage rooms for the season. Special rates for January. George L. Atkins and Sons ran the hotel. In the early 1890s Charles F. Beck was the proprietor followed by I. T. Skiles was the proprietor. The ads are based on the location between the City Gates and the Plaza, sanitary arrangements, best service, special care in the selection of experienced and first-class cooks and assistants. Terms were $3.00 to $4.00 a day with reduction for patrons who would take rooms for the season. It also had special rates for January. The Hotel was located on 131 St. George street near the Plaza. The sister hotel to the Florida House was Pierce Villa in Cottage City, Massachusetts. The rates at Pierce Villa were $3 to $4 per day in 1890. The Florida in the 1900s was open all year. Rates were $2.00, $2.50 and $3.00 per day with special weekly and monthly rates. In 1904 F. C.. Hayden was the proprietor. From 1907 to 1912 the proprietor was John B. O'Connor. In 1912 the managers were listed as O'Connor & Mahon. The capacity was 250. The hotel was destroyed by fire in 1914. Mr. B. E. Carr, a St. Augustine merchant, built the Magnolia Hotel in 1847. The hotel opened with seventeen rooms and could accommodate about 40 people. In 1853 it had 45 rooms. W. W. Palmer from New York City became the proprietor in 1872. The 200-room hotel was located on St. George Street and boasted great fireplaces in the reading-room and parlor. A specialty of house was the hand painted menus. The hotel was located at 104 St. George Street. In 1859 a guest could stay at the Magnolia for $1.25 per day. However, the rate for second floor accommodations was $6.50 per month, and guests staying in the attic paid only $4.00 a month. By 1886 the Magnolia had 250 rooms that rented for $4.00 a day. In 1892, it advertised filtered rainwater for drinking, and by 1894, porcelain bathtubs on each floor were advertised. The public and private rooms have gas. D. G. Jones, Nashville Ten. Mrs. E. Shoemaker & Daughter, N. Y.
Mrs. Palmer arranged card parties and entertainments. They were usually opened by Thanksgiving. In 1892 Mr. J. N. and G. H. Mance were the office with William Bosworth as Stewart and Mr. Armstrong as chef. In 1899 20 new bathrooms were opened. The partners had hotels in New Jersey for the summer months. Palmer originally had Hotel Brighton at Long Branch, New Jersey, with space for 250 guests and rates of $17.50 to $25 per week. Later, Palmer and MacDowell owned Hotel Breslin on Lake Hopatcong, N. J. It was forty-three miles from New York, had electricity and could care for 500 guests. In 1904 J. N. Mance was the cashier of the hotel. In 1912 Palmer & MacDowell with the hotel capacity was 300. The St. George Hotel (211 St. George Street) started with the house of Dr. Oliver Bronson. It was originally a small hotel (see Boarding houses) provided over by Col. Tyler but in 1887 Charles Tyler, his son, enlarged it. The hotel was located next to the Trinity Episcopal Church on St. George Street and King. By 1888 the property was owned by L. K. Tyler of Newark, New Jersey. It had a parlor, sitting rooms, broad verandas, reading and reception rooms. In 1892 George S. Fell was chief clerk; Mr. H. D. Wilde, Night clerk; Mr. F. E. Fenton, Steward; Mr. E. V. Lucas, chef; Isaiah Spencer, Baker and Ben Briant, Porter. 1912 M. B. Montgomery was the manager. The hotel held 200. In 1916 Mrs. A. R. Spencer was the manager. The rooms were $2.50 a day. The hotel was razed in 1941 after being purchased by Trinity Episcopal Church. . The San Marco Hotel, opened in 1885, was the main competition to Henry Flagler's hotels. Henry Flagler and his second wife, Ida Alice Shrouds, spent their honeymoon in this hotel. In part, this beautiful new hotel convinced Flagler that St. Augustine had possibilities. The hotel was unique for St.Augustine in that it sat on twenty acres of land and created its own environment. Mr. Isaac Smith Crufts of Boston built the San Marco. Originally a ship builder, Mr. Crufts was an established hotel owner when he built the San Marco. His first hotel was the Maplewood in the White Mountains of New York, and in March 1882, he built the Magnolia Hotel on the St. Johns River near Green Cove Springs. It could be said that Crufts was the "first" person to transform St. Augustine from a backwater town. Four stories high, the San Marco was built on the highest ground in St. Augustine, next to the Castillo de San Marcos. It had a view of the bay, ocean, and surrounding country. The hotel was four stories tall and the towers could be seen 15 miles out in the ocean. There were roughly 275 rooms in 1885 and the hotel could hold about 600 guests. The cost was $2.50 to $6 per day. Corridors extended the entire length of the hotel, with guest rooms on both sides. Guests could use the large elevator, or the stairs to access the upper floors. The office, parlors, reading and writing-rooms occupied most of the first floor. The dining-hall was west of the main hotel and was a large, lofty room with windows on three sides. A theatre was attached to hotel where dances and entertainments were held. The hotel also offered a newsstand, barbershop, billiard room, private docks, and a café in addition to tennis and croquet courts. For a guest at this hotel the week would start with a sacred concert on Sunday evening and end with a card party on Saturday night. One unique opportunity in the hotel was that the guests were able to pick their own vegetables from the hotel garden for their meals. As the competitor to Flagler's hotels, the San Marco advertisements used "built on natural ground", high and dry," and "large and airy" to capitalize on the Flagler Hotels being built on a former tidal area. Isaac Crufts dies December 27, 1889 . The Hotel does not open for the 1890 season but reopens for the 1891 season. The San Marco Hotel burned to the ground on November 7, 1897 and was not rebuilt. Henry Flagler not only got the vision of St. Augustine's potential from the San Marco Hotel, but also took McGuire and MacDonald, the builders, and Osborn Seavey, Crufts hotel manager, away from the Hotel. The Hotel was built from the remodeled building that Dr Oliver Bronson commissioned for the Buckingham Smith Association. Later it was used as an Industrial school for African-Americans. It opened in 1895 for the first time. It was located on 16 Granada Street the renamed Bronson Street across the street from the Alcazar Hotel. It was listed as a family hotel. Meals were served from bills of fare. It's advertisement listed electric bells, baths, and open fireplaces. The rates were $2.50 per Day and up with special weekly and monthly rates. The opening manager was George C. Howe. By 1899 Howe had expanded to Daytona with the Holly Inn and the Hybiscus at Palm Beach. He had also acquired the Clarendon at Green Cove Springs. In the early 1900s G. L. Bryant was the proprietor. It was open from January 1 to April 15th accommodating 75. The rates were $2.50 to $4.00 per day or $17.00 to $25.00 per week. It was located in a large garden of roses and date palms facing the Alameda opposite Hotel Alcazar. In 1903 the proprietor was Everett I. Mathewson who had a summer hotel of Mathewson House in Narragansett Pier, R. I. A frequent guest was writer James Branch Cabell. In 1916 Wachenhousen & Maust were managing. The hotel still accommodated 75. The hotel closed in 1964. Flagler had some unexpected competition from his associate, Franklin Smith. In arranging the land acquisition, Flagler gave Smith land and the Sunnyside Hotel, which was moved across the street to the site of the Casa Monica Hotel. Flagler encouraged Smith to fix up the Sunnyside, but Smith had much bigger plans he moved the Sunnyside Hotel and built a 250-room hotel on its site. The beautiful new building was concrete, with less coquina than the Ponce de Leon or the Alcazar. Deep river sand was used, which made the color of the building more dense and uniform than the Ponce de Leon or Alcazar. Advertising for the new hotel focused on its Spanish-Moorish structure, Artesian sulfur baths, French cuisine, and Table d'hote. All of the suites in the Casa Monica were equipped with closets, gaslights, gas heat, and electric bells to call for service. Baths were located on each floor. With its cottages, the hotel could accommodate four hundred guests. Smith had trouble completing the hotel; a plumbers' strike in January of 1888 sent all the plumbers back to New York (The Florida error! Bookmark not defined. Times Union, January 7, 1888), and a fire at the Nelson, Matter & Co. factory in Michigan delayed a shipment of furniture. The building opened on January 17, 1888, a week after the Ponce de Leon. The opening was not a success. Smith was plagued by low occupancy and was unable to compete with the Ponce de Leon. The hotel officially opened on January 30, and by March 28 Smith was cutting back expenses by closing off two floors and laying off two or three dozen people. The hotel was sold in April to Henry Flagler for $250,000 On July 16 the name of the hotel was changed to the Hotel Cordova. In the coming years Flagler will keep the manager of the Hotel - E.N. Wilson. However, in the summer of 1889 with the assistance of O. D. Seavey the interior of the hotel is renovated especially the kitchen area. Even though the Casa Monica would be sold to Flagler to become the Cordova it would still have interesting guests like Frank Woolworth, Mrs. Tom thumb and Archibald Clavering Gunter. The Valencia was a smaller family hotel with bell service. The house was located on south St. George Street near the St. Francis' barracks with a view of the ocean. It was run in the 1890 through the early 1900s by Mrs. Mary Fraser who had been managing hotels in St. Augustine since the early 1880s. It had electric bells and gas and a great menu. The water was aerated artesian well water. The hotel was built by McGuire and McDonald. The room rate was $2.50 to 3.00 per day or $15.00 to $20.00 per week. It had private baths, steam heat and modern conveniences. It stated that special attention was paid to table. The hotel was located at 276 St. George Street on what is today the parking lot of the St. Francis Inn (which as one time was known as the Valencia annex.) Two of the more famous guests were Sinclair Lewis and William Dean Howells in 1916. In 1912 Miss E. Fraser was the manager. The hotel held 75 and still charged $2.50 to $3.00 per day. The name of this hotel was later changed to the Alencia Hotel. In 1874 Henry Ball constructed a residence that was located on 20 Valencia and Sevilla Streets. In 1885 Henry Flagler purchased and moved the house. The Barcelona was located near the Union Depot, Memorial Presbyterian (two blocks from the station) and Grace Methodist Episcopal, North Churches on the corner of Carrera and Seville Streets. It was the Ball mansion moved, enlarged and remodeled. Miss R. E. Hasseltine was the manager in the 1890s. It had baths, gas, hot and cold water on each floor. In 1904 Miss A. N. Blair was the proprietor. In 1904 R. E. Hasseltine was still in charge. The hotel accommodated 70 with rates from $2.00 to $2.50 per day or $10.00 to $18.00 per week. It was open from November to May. Located two blocks from the station it had all modern improvements with a good family table. In 1909 A. N. Blair was the proprietor. The rates were from $2.50 to $4.00 per day. It advertised a good family table and home comforts and was open November to May. In 1916 Miss A. N. Blair was the manager. The capacity was 70. The hotel was razed in 1962. It's now the site of the Ancient City Baptist Church Parking lot. This hotel was located on St. George Street and Treasury not far from the Plaza. Mr. Rolleston was the owner and manager. This family hotel was located on the corner of St. George and Treasury Streets, It advertised itself as the best location, best table and best hotel. The rate was $2.00 per day with special rates to permanent guests. The La Borde was located near the bay on 38 Marine Street bordering on Bridge. In 1885 this was considered a private boarding house when Miss S. P. C. La Borde was the proprietor. Large rooms with water views. Mr. and Mrs. Abbott were the owners in the 1890s. In 1904 S. W. Cole was the proprietor. In 1895 the Tatler reported: The La Borde has a charming location near the bay with an open space intervening. The rooms are large, with delightful water views, and prettily furnished. An excellent table is maintained. The entire house, with its different departments, homelike and comfortable. Mr. and Mrs. Abbott , the proprietors, are indefatigable in securing the comfort of their guests. Excellent sanitary arrangements. In 1909 Mrs. Jack Cowan was the proprietor. It accommodated forty people. The rates were $1.50 and $2.00 per day. In 1909 Mrs. R. C. Gould was the proprietor and still kept it open year round. The rates were $1.00 to $1.50 per day with special rates to families or parties. It was billed as a pleasant family hotel in a most desirable part of the city two blocks from the station and convenient to all points of interest. It was surrounded by broad verandas and spacious lawns, making it a most comfortable and home-like place. In 1912 Mrs. John Center was the manager. The hotel held 50 persons. In 1892 the Tatler stated: "This comfortable family hotel is pleasantly located on St. George Street near the city gates and with many of its rooms overlooking the bay. Its exterior is attractive and once one enters its home like comfortable appearance soon decided one to remain. The manager, Mrs. A. B. Abbe, who manages Pierce Villa, at Martha's vineyard, has a host of patrons who escape the winter's cold and summer's heat, by becoming her guests at either one of her hotels." In 1895 the Tatler reported: "This comfortable family hotel has been leased by Mr. W. B. Pine, who,with W. A. Wood, have made an enviable reputation at the Goodwood, Archer, Fla. The house has been put in perfect order and new furniture added. Mr. Pine has determined to maintain a first-class table with good service. The house is located on St. George street, a short distance from the city gates and grounds of Fort Marion, one of the best locations in the city. A broad plaza across the front of the house affords a delightful lounging place." In the early 1900s it would be run as a select family hotel under the management of Summerfield Hotel in Ocean Grove, N. J. with F. S. Haynes as the proprietor. In 1904 Mrs. N. F. Garcia was the proprietor. In 1909 Mrs. J. C. Cook was the proprietor. The rates were $1.50 and $2.00 per day. It later became the Northern Hotel. It became the Arlington by (1910). In 1916 the hotel was run by Mrs. Emma McKeen. The hotel held 60. The rates were now $2.50 and up per day. The hotel burned in the 1920s. Washburne Hotel in Saratoga Springs, N. Y. The Tatler reported in 1891: "Mr. A. S. Washburne, who has made such a success of "The Washburne," at Saratoga, and "The Saratoga," at Palatka, has taken this pleasantly located house for a period of three years, and has made it first-class in every respect, putting gas all through the house with electric bells in all the sleeping rooms. These have been newly papered and painted throughout, and with the new furniture, is as attractive as possible. The office has been refurnished, the parlor enlarged and refitted, making it a delightful room. The house has baths and the best possible sanitary arrangements. Nor has the dining room and kitchen been neglected. Everything possible to insure cleanliness and good cooking has been secured in the kitchen, and the dinning room is well supplied with dainty linen, pretty china and new silver. Mr. Washburne brings his Saratoga staff with him and gives promise of making this as good a $2-a-day house as there is in the country, and will no doubt have his fifty rooms filled all through the season. On 132 Bay Street it had gas in the office, parlors, dining room and halls. In charge of the house was Mr.W.S.M. (William Slade Macy) Pinkham (who would later be the St. Johns County School Board Superintendent.) The dinning-room sat 100. This was the only hotel directly on the bay in the 1890s by 1910 it was next door to the Hotel Marion. In 1898 the manager was Frank C. Hayden. In the 1900s the Ocean View came under new management. A. Madole and Company took over matching it with the Lebanon Cottage in Chautauqua, N. Y. The Ocean View featured in its advertising fine fishing and northern cooking. In 1909 it was listed as accommodating seventy-five people. Rates were $1.50 up per day with special rates by the week and to parties. It was listed as delightfully located, fronting bay and ocean. It was located 60 feet from the sea wall. The hotel was surrounded by broad and sunny verandas with only a few minute's walk from all points of interest. It had sanitary plumbing, free hot and cold baths with Northern help and cooking. In 1911, the hotel was sold to Henry E. Hernandez. In 1912 H. E. Hernandez was still the proprietor. In the 1960s it was torn down and replaced by the Marion Hotel. The site is now the location of the Bayfront Inn. The second Monson House was located on 26 Bay Street next to Bravo Lane. (The first one burned in the 1895 fire.) A. V. Monson, Proprietor. Open all year the rates were $1.50 to $2.00 per day with $7.00 to 12.00 per week. Forty feet from the seawall. Two minute walk to the fort. Guests have free use of row boats with fishing grounds in a distance of fifty yards to two miles. It had hot and cold baths. It was enlarged in 1901. In 1909 with A. V. Monson as the proprietor the hotel was open year round. The rates were $1.50 to $2.50 per day with special rates by the week. It was located overlooking the bay and ocean and forty feet from the sea wall. It was two minutes from old Spanish fort and Ponce de Leon Hotel. Guests had free use of rowboats. Fishing grounds within a distance of fifty yards to two miles. Hot and cold baths were free with perfect sanitary arrangements. It featured northern cooking and street cars passed the door. In 1912 A. V. Monson was still the proprietor with the capacity of 75. It was then destroyed in the April 2, 1914 fire and replaced by a masonry structure in 1915. In 1960 it was destroyed and replaced by the Monson Motor Lodge. In the beginning this hotel located at 11 King Street was called the Algonquin Hotel. In 1899 it was operated by C. F. Cox. This hotel was located opposite the public market and plaza overlooking the bay and ocean. It featured "Northern" cooking with rates from $2.00 and up. Mrs. M. Crittenden was the proprietor. Lynns Hotel was located on 7 King Street. In 1904 the owner was Truman J. Lynn. It was open year round and accommodated 75 guests. Its food was on either the American or European plan. The European plan was .50 to $1.00 per day. A café was located on the lower floor. The hotel was located on St. George Street opposite the Florida House. Plaza Hotel was located at 17 King Street. In 1910 extensive improvements were made on the exterior of the Hotel Aragon on St. George street, New Porches are being added and many alterations which will greatly improve the hotel and make it better fitted than ever for the business. (1899) Is located directly opposite the main entrance to the Ponce de Leon and overlooking the handsome grounds of the Alcazar. It is artistically furnished, has a handsome foyer and parlor on the main floor. Many of the guests' chambers are arranged in suites, including a parlor bedroom and bath, are light and with entrancing views. The proprietor, Mr. Harry w. Wachenhusen, is well known to travelers and tourists. This is his second year at the Granada and many of last year's guests are again enjoying his hospitality this season, while others have secured rooms for the near future. In 1904 H. W. Wachenhusen was the manager of the Granada Hotel. It was open from December to May 15th and accommodated 150 guests. Rates were $2.50 and upwards per day. Special weekly and monthly rates were available. It was located at the corner of King and Granada Streets facing the "Alameda." Rooms were light, airy, and cheerful daintily furnished in white and gold arranged single or en suite with or without private bath. The Arcade, the lower front section included shops. In 1912 the manager was S. Thomas Penna. In 1913, new owner Abraham S. Mussalem renamed the building the Alhambra Hotel. A fire destroyed the 73-room hotel in 1954. The Spear Mansion was built by Capt. Thomas F. House who also built the Sunnyside Hotel. Mrs. A. R. Spencer was the proprietor and in the early 1900s J. O. Lumsden was the manager. The mansion was open all year with rates from $2.00 to $3.00 per day or $10.00 and up per week. It was one block from the Ponce de Leon and post office opposite the Casino a ten minute walk to the golf links. Home cooking was a specialty. It was directly across the street from St. Joseph Academy and Convent at 240 St. George. 1909 - Mrs. A. R. Spencer was the proprietor. The hotel was open year round with rates from $2.00 and up per day with special rates by the week and to parties. The hotel was centrally located on St.George street one block from the Ponce de Leon. It had large grounds, beautiful with shrubbery and flowers. Rooms en suite, with or without private bath; wide verandas, electric bells, sanitary plumbing. Home cooking was a specialty. Filtered water for drinking. Sulphur well in yard. 1912 Mrs. A. R. Spencer was still the proprietor. The hotel held 75 people charging $250 to $3.00 per day with $15.00 to $20.00 per week. In 1938 the Sisters of St. Joseph purchased the property and demolished the mansion. The Columbia Hotel was located at the corner of Cuna and St. George. In the 1890s the Columbia Hotel had rates of $2.00 per day. The owner was A. S. Washburne. Washburne also ran the Washburne Hotel in Saratoga Springs New York. The 1891 Tatler reported: "Mr. A. S. Washburne, who has made such a success of "The Washington" at Saratoga, and "The Saratoga," at Palatka has taken this pleasantly located house for a period of three years and has made it first-class in every respect, putting gas all through the house with electric bells in all the sleeping rooms. These have been newly papered and painted throughout, and with the new furniture, is as attractive as possible. The office has been refurnished, the parlor enlarged and refitted, making it a delightful room. The house has baths and the best possible sanitary arrangements. Nor has the dining room and kitchen been neglected. Everything possible to insure cleanliness and good cooking has been secured in the kitchen, and the dining room is well supplied with dainty linen, pretty china and new silver. Mr. Washburne brings his Saratoga staff with him and gives promise of making this as good a $2-a-day house as there is in the country, and will no doubt have his fifty rooms filled all through the season. Keystone Hotel - This hotel was started in either 1905-06 in the former home of C. G. Gleason, the Superintendent of the Canal Company. One block west from front entrance of Hotel Ponce de Leon. It has large airy rooms and excellent cuisine. Mrs. L. J. Boyes is the owner. She had formerly worked in millinery. The hotel was located at 112 King street. In 1909 Mrs. L. J. Boyes was still the proprietor. It was one block from the front entrance to the Hotels Ponce de Leon and the Alcazar and convenient to the post office and railway. In 1909 it still featured large, airy, well-furnished rooms, all outside. Hot and cold baths and heat in bedrooms free of extra charge. Soft water was supplied in bedrooms. Perfect sanitation. No consumptives taken. Northern home cooking a specialty with fresh vegetables from own farm. Jellies, preserves, etc., home made. Rates, $2.00 per day. Special rates by the week or month. In 1912 L. J. Boyes was the manager. The hotel held 60 people. The Hotel Marion was a new hotel in 1905-06. It was located on the Bay front at Bravo and Marine. Henry Muller was the proprietor. There was an earlier version of the Marion Hotel on Charlotte street next to the St. Augustine Hotel in 1884. In 1909 H. Muller was still the proprietor. The hotel was open year round and accommodated sixty people. It featured both European and American plans. The rates were $2.50 and up per day; special by the week. It was situated fronting the bay and ocean. All modern improvements with Cuisine Francoise. It had steam heat and electric lights throughout. In 1912 it was listed simply as The Marion with H. Muller still the proprietor. By 1912 it could accommodate 75 people. The Lynn Building was built at the same time as the Casa Monica Hotel and completes the block. Very low rent at $3.00 per week O. B. Smith was the manager. In 1909 with O. B. Smith as the manager, the building held 150. It was open from November to May with furnished rooms only. Prices ranged from $3.00 to $20.00 per week. It was a central location opposite the post office. The building was listed as strictly fireproof and sanitary arrangements perfect. The rooms were large and first class. There were gas heaters and "hot plates" when desired with restaurants and stores close at hand. In 1912 O. B. Smith was still the manager. The Bennett House was located at 10 Bay Street. S. F. Bennett was the manager. In 1909 it was listed as a new house. The rates were $1.50 to $2.00 per day. It accommodated sixty. The hotel was demolished in 1961 by the National Park Service in its reroute of Fort Marion Circle. It was located at 84 Charlotte Street (near Treasury.) This hotel was owned by Henry E. Hernandez until 1910. It accommodated forty people and featured hot and cold baths. The rates in 1909 were $1.50 to $2.00 per day and $8.00 to $12.00 per week. In 1912 C. W. Johnson was the manager with a capacity of 50 people It was burned in the 1914 fire. Next to the Opera House on St. George Street (1910). In 1904 this was the Aroyle Hotel. 1912 manager was Mrs. A. Boutelle. The hotel held 75. Rates per day $2.00, per week special. San Marco - 1912 version held 100 people rates per day, 41.00, rooms only. Two sources of competition were lost before the doors of the Ponce de Leon and the Alcazar opened. Hotel St. Augustine was built in 1869 by a partnership of Captain E. E. Vaill, F. H. Palmer, and Dr.Andrew Anderson. T. P House was the architect and builder. The hotel had gaslights, was 200 feet long, three stories high, and contained 80 rooms (140 rooms were added in 1875). In 1884 in Chapin's Hand Book of St. Augustine by Elias Nason included the following description of the hotel: southerly front of 200 feet upon the Plaza and 160 feet on the Bay with wide plazas and hanging balconies from each story overlooking the City, Bay, and Atlantic Ocean. The Dining-Room, Parlors, Billiard-Room, and many of the Sleeping Rooms are elegantly frescoed. It is lighted with gas and provided with water conveniences, electric bells. The dining hall is capable of seating over 300 guests, and the table will be furnished with all the luxuries of the Northern Market By 1885 the St. Augustine Hotel had 300 rooms that rented for $4 per day. Captain Vaill (a sea captain from Milton, Conn.) was the sole owner of the Hotel St. Augustine in 1887 when the fire that also destroyed the Cathedral destroyed it. Unfortunately, Captain Vaill had canceled the insurance on the hotel because he thought the rates were too high. Sunnyside Hotel - Thomas F. House built the Sunnyside Hotel in 1876 on property that had been part of Dr. Anderson's estate. Originally on the site of the Ponce de Leon, Flagler moved the hotel across the street (to the present site of the Casa Monica) and gave it to Franklin Smith, encouraging him to run the Sunnyside rather than build the Casa Monica. The hotel had a capacity of 40 guests and rented for $2.50 per day. It was renamed "Villula" by 1884 (Sanborn map) and "Villa del Sol" by Franklin Smith when it was annexed on December 15, 1886. It's location was directly on the site of the future Casa Monica. It had a bath house which had an artesian well with enough force to pump water to the third floor of the hotel. @jd755, it will take time to process the info above. Trying to calculate St.Augustine combined hotel industry room numbers would be a daunting task. 35+ hotels for a population of under 5,000 sounds bizarre to say the least. City Hotel was located on Charlotte and Bay Street, a few doors South East of the Public Square. The hotel was open prior to 1834 (by then it was described as a well known and long established hotel. In 1834 William Levingston took charge of the hotel and refurbished it. He announced that good stables and carriage houses are attached to the premises. The Atheneum was kept at the hotel. (The Atheneum was a reading room located on the second floor and opened to the bay. It also had a circulating library next to the reading room. F. L. Dancy served as secretary of the executive committee. )The City Hotel in 1848 was under Mr. Bridier was one of the oldest hotels in St.Augustine. In 1854 it was the office of the Picolata Mail Stage. Before you do that you need to read through this page. It is beyond incredible what they achieved. Where they housed, fed, watered all the workers never seems to be mentioned, or I have yet to come across it in the waybackmachine. Indeed, I’m not sure such a large amount of copy-and-paste is helpful. The copy and paste is simply done to highlight the way the 'modern' infrastructure was installed in these buildings. Gas heating, coal fires, steam boilers, steam elevators, electric bells, electric lighting, piped water, sewers all of which appeared in a fifty or less years in a seaside town in the warmth of Florida. As far as I am aware there is no local coal and don't think gas or oil is found local to St Augustine so it would seem all fuel had to be brought in by ship and hand balling off of schooners does not seem to cut it for the amount of building work done yet where are the large merchant ships of the day? If the history of the place is even remotely true back in the day the Spanish French and British had bigger merchant ships in the area. Obviously it would have gotten easier when the railroad was connected to the 'north' but to begin with? With all of these digs into the recent past the infrastructure that supports the construction is absent. It's as though the workforce lived in tents and crapped in the sea. Nothing remains of them because they leave nothing behind as they are itinerants. So we get told but where did all the building waste go? Where is the scrap merchant who collected up all the waste iron and sent it off to the iron smelting company? Where are the yards/warehouses where the vast quantity of stuff flowing in must have been kept if but for a short time, bearing in mind the official construction periods it is inconcievable they would install a bath in a concrete building that is not watertight. Where did all the glazing come from? People take glass for granted these days but it has to be manufactured cut and shaped somewhere and as for the windows frames. Today they are made in a factory and shrink wrapped for delivery anywhere. In those days was the factory a temporary affair working alongside or nearby or on the construction site or where they all made elsewhere and shipped in or were they knocked up on site by craftsmen as the individual window openings were finished? We go looking in the wrong places really. We are given 'personalities' succh as Flagler and Franklin by the press of the day and 'official history' so off we go following the 'pied piper' I do it all the time 'tycho brahe' thread for example! Trying to figure out how these hotels were built is like trying to figure out the construction of the great pyramids. "As far as I am aware there is no local coal and don't think gas or oil is found local to St Augustine "
I think the hotels had a supply problem , noting the attached info. Lies, more lies, and lairs . Gas , one can make gas from coal but needs factories. The natural gas would need to be piped in to Florida probably from Texas. Attempts to find oil in Florida began in 1901, not far from the Gulf Coast panhandle town of Pensacola. After decades of expensive dry holes, a frustrated state legislature offered a $50,000 bounty for the first commercial well, which was completed in 1943 by Humble Oil Company by present day Big Cypress Preserve. When tracing supplies needed for construction they are few indeed. What history I found was limited and confusing. The Star Fort just a short distance from the hotels may have helped in some way. The Castillo de San Marcos is the oldest and largest masonry fort in the continental United States; it is located on the western shore of Matanzas Bay in the city of St. Augustine, Florida. The Castillo was designed by the Spanish engineer Ignacio Daza, with construction beginning in 1672, 107 years after the city's founding by Spanish Admiral and conquistador Pedro Menéndez de Avilés, when Florida was part of the Spanish Empire. Passing through the entrance to the fort one finds one’s self in a dark passage, on the right and left of which are low doorways, that on the right being the nearer. Glancing through the right door-way one sees three dark chambers, the first of which was used as a bake-room and the two other of which were places of confinement for prisoners. Looking through the dark door-way a few steps forward to the left one gazes into the guard-room. Walking on one comes into the open court, 108 feet by 109 feet; immediately to the right is the foot of the inclined plane which leads to the upper walls. To the left is the well. On all sides of the court are entrances to casemates. Directly across from the entrance is the ancient chapel, which heard masses sung while the English colonies were just being started. The altar and niches still remain over the door of this place of worship is a tablet set in the wall by French astronomers, who here once observed the transit of Venus. Passing up the inclined plane to which allusion has already been made one finds one’s self on the ramparts of the fort. A charming view is to be obtained on all sides, but particularly looking out to sea. At each angle of the fort was a sentry-box and that at the northeast corner was also a watch tower. This tower, probably the most familiar remembrance of old Fort Marion, is twenty-five feet high. The distance from watch-tower to sentry-box (or from corner to corner) of the old fort is 817 feet. Reading the description of the fort does anything jump out ? Below is another description with much more detail. just one question , is this really a fort?